Concept version of upcoming production model reveals dynamic, new look. 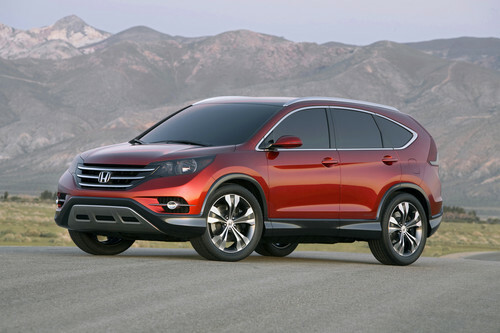 The CR-V Concept embraces a distinctive and bold styling direction for the top-selling1 SUV in the United States. Compared to the current-generation CR-V, the concept model takes on a more aggressive stance with deeper sculpting of the body lines and a bolder front fascia. The front bumper's smooth-flowing lines are highlighted by a horizontal three-bar grille and deeply set multi-reflector headlights. The lower front bumper wraps smartly upward to convey SUV capability with a generous approach angle, while the lower front bumper design now integrates more smoothly with the fascia for improved aerodynamics.